I’m writing this whilst it is pouring down with rain outside! The weather has definitely changed and there is a (welcome) chill in the air. I love it when the weather is like this sometimes because it makes me feel less guilty when I have a lazy afternoon of watching DVD’s. It has been a quiet week after a rather stressful weekend. 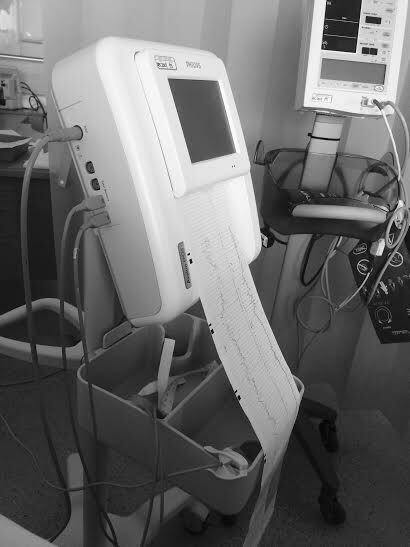 As those of you who will have seen my Count the Kicks post earlier this week (here’s the link if you missed it– https://beautybabyandme.wordpress.com/2015/10/12/count-the-kicks/) will already know, I spent Sunday in hospital for some monitoring after a period of reduced moment. Please read the post if you can spare 5 minutes, it’s such an important subject and something to make people aware of. It’s made me see that mothers instinct really is a massive thing and is something that shouldn’t be ignored. Making the decision to call the midwife and go into hospital felt like a responsibility to me; I am responsible for this little baby and I need to make sure I always do exactly the right thing for him/her, and this is obviously something that is instilled in you even before your baby is born. Fortunately baby has since resumed his/her movements and, I imagine, is running out of room in there. Having seen baby on the scan last week and getting an estimate on the weight (4lbs 4oz!) I’m not surprised. I’ve read that weeks 32-36 are another growth spurt period of time, when you start to put even more weight on, so my bump is going to get even bigger over the next few weeks; crazy as I am already massive. We started our NCT classes this week and I can’t recommend them enough! Everyone there was so lovely and I can already see I am going to make a nice group of friends out of it. I found the first class really informative too and I have to admit I left having learnt a lot more than I did at the NHS classes. It was really interesting with the men there too and getting their point of view. At one point we had to split into two groups; mums and dads, and were told to write down a list of things that are on our minds that we hoped would be discussed at these classes. Us girls had, admittedly, been thinking the men would come back with all sorts of rubbish such as “which football team will the baby support ” but we had to eat a bit of humble pie when they returned with a really practical and useful list of things, many of which us girls hadn’t thought of at all including how to cope on maternity pay, how the arrival of the baby would impact a work/life balance, and with all the groups babies due around Christmas time, how to balance spending time with both families and the new baby. Us girls had focused far more on the labour, breastfeeding and the overall emotional side of things so it was a great exercise to get everyone talking and seeing various points of view. I’m really looking forward to this weeks class and getting to know some of the girls a bit better. Anyway, on to this weeks update (and the realisation I may only have about 7 more of these to write before it’ll be Newborn Baby Updates)! How far along: 33 weeks. It is suddenly becoming very very real!!! I can’t believe I’ll be due in 7 weeks time; it sounds like no time at all and with the way the weeks are going by now I should think it’s going to fly by. I have been warned that the last 2-3 weeks really do drag though so I am going to plan lots to do in that time so that I’m not sat at home playing a waiting game! Weight Gain: Another pound gained this week. Not too worried as I am right on target for both mine and the babies my weight gain. I have had one really bad day this week though that involved pasta for lunch followed by takeaway sausage and chips for dinner. 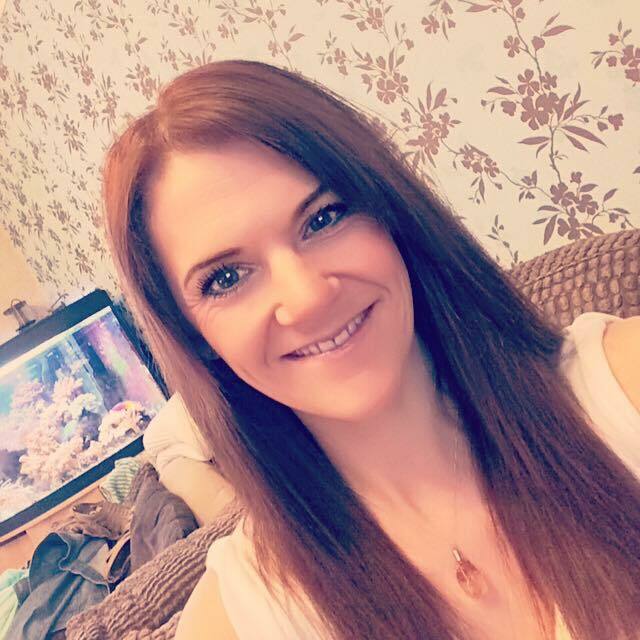 I soon regretted it because I felt so sick by the time I went to bed – I literally had to sleep it off and I won’t be making that mistake of overeating again! My stomach is so squished up high now, I need to remember that I get full far quicker now. 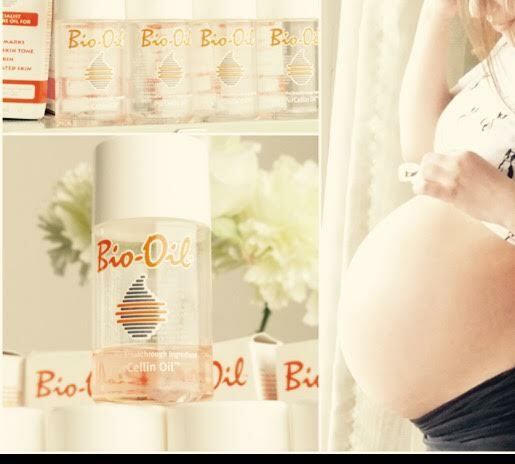 Stretch Marks: I am so glad Bio Oil exists. And that’s all I’m going to say on the matter for fear of jinxing my luck so far!!! Sleep: It all seems to be very hit and miss. One night I sleep well and the next night I take hours to nod off. My husband has been helping me do some research into things I can do that might help relieve the whole restless legs syndrome hell!! One thing that kept coming up was bananas. I absolutely hate bananas, the smell, the texture, everything. I can just about cope with a banana yogurt but that’s it. But, I hate restless legs even more, so we decided to attempt making me a banana smoothie every night. So far it does seem to be helping – I blitz it with milk, ice cream (that helps a lot) and a bit of honey and I feel a bit better reminding myself that I’m having one of my five a day! I’ve only tried it a couple of nights so far but I’ll stick with it and hopefully it’ll help. I still wake a lot to go to the toilet (baby has a tendency to bounce its little head against my bladder) but usually I can get back off to sleep. Best Moment This Week: I’m still on a high from seeing the baby on the scan last Thursday! I keep looking at the picture, which is only babies face due to his/her size now being so big you couldn’t fit the whole baby in the picture. But I still think he/she looks beautiful already! An additional positive out of my impromptu visit to the hospital on Sunday, other than of course knowing the baby is absolutely fine, was getting to have a bit of a nose around the delivery suite. 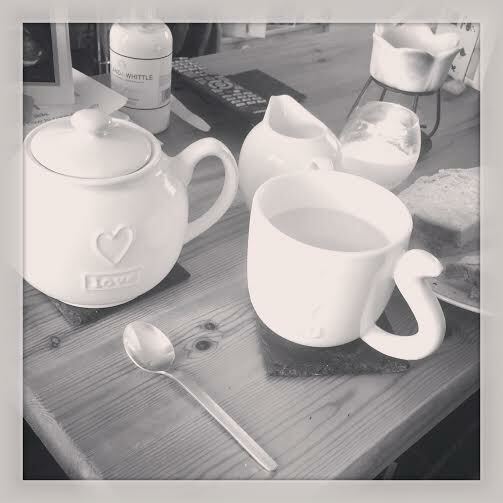 I didn’t get to go into any of the private delivery rooms but I met a fair few midwives who were absolutely lovely, bringing me tea and toast and it’s quite a comfort to know I’ll be a bit more familiar with the place once the time to deliver arrives. We came home on Saturday night to a surprise parcel from some very excited grandparents to be! My Mum and Dad had sent another package full of gorgeous baby clothes and necessities for us which was a complete surprise; they’ve already bought the baby so much so it was such a generous surprise. We’ve already put the gorgeous,soft cardigan included into the hospital bag to bring the baby home in. 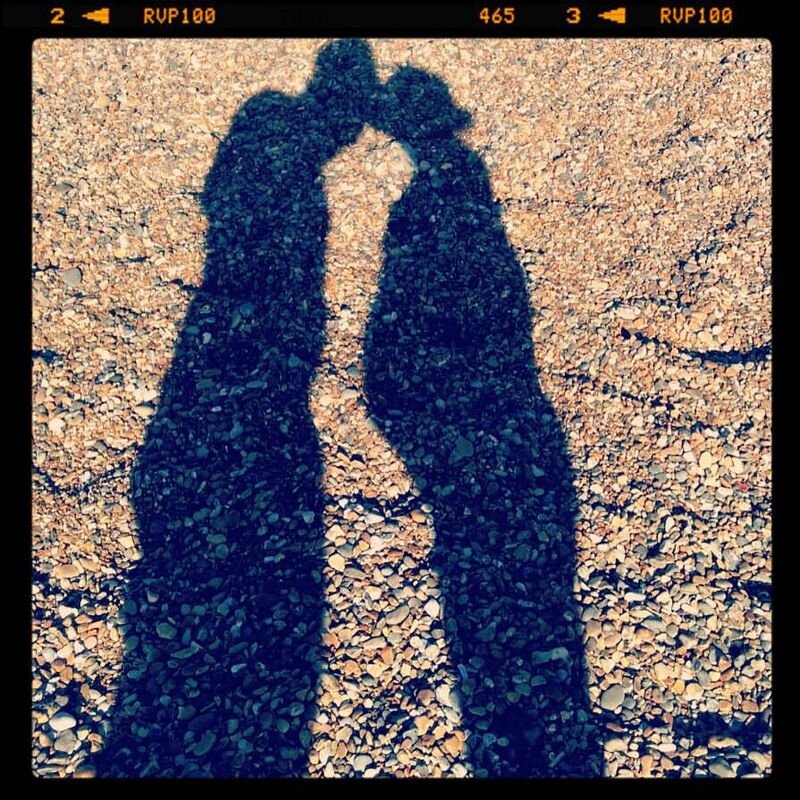 And one last lovely thing from this week is that me and my gorgeous other half have been together 10 years this week. I can’t believe it’s been so long – lots of laughter, happiness and some challenges along the way that we’ve overcome as a team. I am very lucky. Miss Anything: The ability to bend down to pick things up! I have become a pro at picking things up with my feet now as I am so huge it’s too bloody tricky getting down on the floor, coupled with the effort of getting up again! I also seem to be incapable of eating a meal without spilling it down me so I miss being able to finish dinner with a clean top ha ha! Movement: After Sunday’s little scare, I’m pleased to say I’ve had lots of movement. And after that horrible scare that day I have vowed never to moan about baby kicking me in the ribs again – it can kick me as much as it likes, I’m just happy to know he/she is moving about. I also want to say a huge thank you to my gorgeous friends who sent me some lovely messages that day when I told them what had happened; I really do have the best friends. Food Cravings: Well I had been craving chip shop chips and had them one night this week, but after that horrible feeling afterwards as my stomach is up so high now, it’s hard to digest them, I’m rather put off them! I don’t really have any cravings at the moment (although the shops already being full of Christmas chocolate goodies is a disaster as I can’t resist them) I’m just trying to eat really well and have even been a bit more adventurous in my attempts at cooking. Well I was, until our oven broke!! Sickness: Oh it’s back! With a vengeance! I’m back to being sick each morning and I have to admit it’s been really bad the last few days; I’ve felt like I did right at the beginning but I keep trying to reassure myself it’s just a few more weeks and am trying to just get on with things. Mood: Relaxed. I think my body knows I am approaching the end now so I’m making a conscious effort to listen to it. Some days I have huge bursts of energy and clean and organise but then as soon as I start to feel tired I just relax on the sofa with a DVD or a book and remind myself that in a couple of months it won’t be as easy as doing what I want in that respect, so I am making the most of it now. 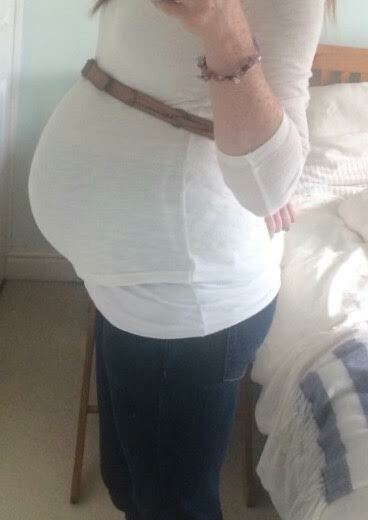 I guess I am also starting to feel quite overwhelmed, in a positive way, at the prospect of being a new mummy. 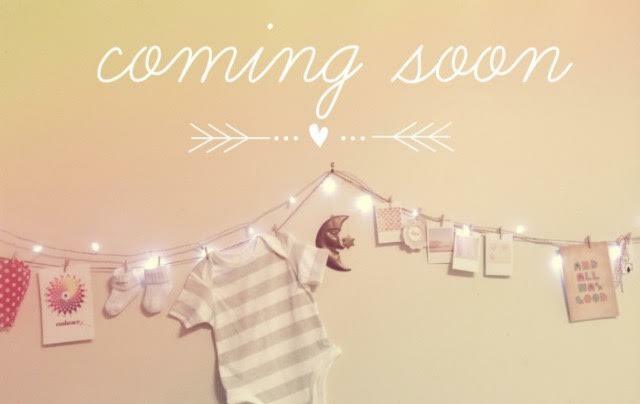 I am so excited but I also feel like there are going to be some aspects I won’t know how to handle until baby is here. 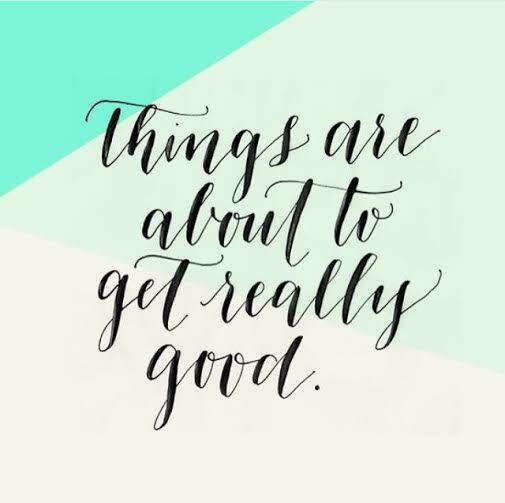 However, that is where I find the whole instinct thing a huge reassurance; I have complete faith it will kick in and along with my husband, we’ll find our way of doing things in those all important first few weeks. Looking Forward To: my birthday! It’s still a couple of weeks away and although it’s going to be a low key one, I am very excited as I have booked into my good friends beauty salon. I am a loyal customer there anyway so I already know how brilliant the treatments are there and I have booked in for a facial and an Indian head massage and I cannot wait. I am so looking forward to a bit of pampering and some peace and quiet before the madness begins! I’m also seriously looking forward to replacing our dishwasher – I’m lost without it!!! It’s been a nice chilled week, lots of blogging, reading, and a fair amount of cleaning. I’m enjoying this time of taking it easy and seeing friends. 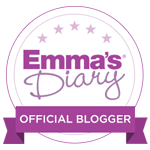 And I really hope everyone is enjoying the blog posts I’ve been posting this week. Previous Post Count those Kicks Mummys to Be!! Next Post 34 Weeks – Swollen Fingers, Lots of Nesting and More New Cravings!